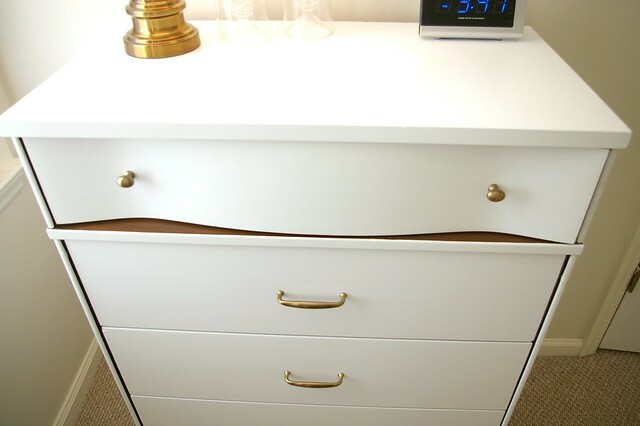 I decided to paint the dresser all white and add some gold hardware. 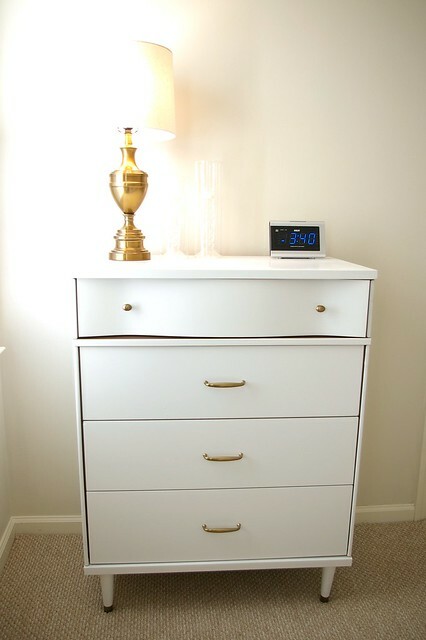 Nothing too fancy.. except when I put the drawers back in, I realized I didn't paint under the curved dresser white. It was a happy mistake, because I really like that little peek of natural wood! I finally painted to room, also. The paint color is "Vintage Linen" by BEHR. The hardware is the Ephram collection from Restoration Hardware. Great job. Where is the lamp from? Lovely, I love the different shelves, great contrast, great job! Cute, you can never go wrong with white! I am so glad I checked back. It looks DREAMY! So pretty, and I too love the way the wood peeks out. Cute, Bryn! 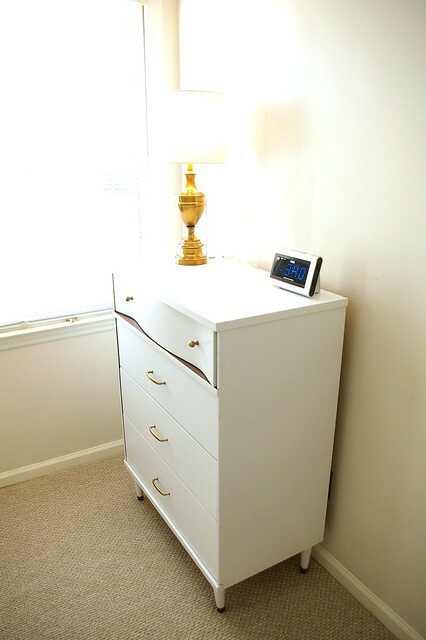 Your guests are just going to want to hole up in their room, rearranging the contents of their drawers! The dresser is great. LOVE that gold lamp!!! I think the little peek of wood is the best part! It looks great! I love before/afters. Can't wait to see the whole room when it's *done!! Love it. And your little mistake. Very stylish.